Fish Oil Archives - Pride Learning Co.
For some reason, the discussion of fish oil supplementation conjures up images of a mountebank peddling a potion at an old-style country fair. Indeed, the idea of fish oil supplementation to treat a variety of ailments has been around for many decades. Recently, fish oil has received a great deal of attention in the lay media and professional medical literature for the treatment of behavioral disorders such as ADHD. After diagnosing a child with ADHD and transitioning to talking about treatments, I often start to feel a bit of tension in the room as parents start to think “I know he’s going to recommend medications and as a family we are not prepared for that”. However, before launching into a discussion of different pharmacotherapies for ADHD, it is important to consider nonmedical management. For example, behavior modification strategies have been adequately studied and proven to be beneficial for many children with ADHD. Three less frequently discussed ADHD treatments which I touch upon during my consultations are essential fatty acid (such as contained in fish oil) supplementation, sleep habits and basic dietary changes. From scientific studies of essential fatty acids (EFAs) and ADHD we know that (1) individuals who have ADHD may have low levels of EFAs and (2) essential fatty acid supplementation may normalize EFA levels in children with ADHD. The clinical significance of this is somewhat less clear; however, most studies provide evidence of lessening ADHD symptoms. As with most scientific studies, there are concerns with study design and confounding factors but the current body of medical literature generally supports the use of essential fatty acid supplementation in children with ADHD. The benefit of essential fatty acid supplementation for children with ADHD has been adequately established. However, the next question is “What are the associated risks?”. Fortunately, when used in recommended dosages, there are few potentially serious side effects associated with essential fatty acid supplementation. Reported side effects include: Fishy aftertaste (if the product is made from fish oil), nausea, bloating, or burping. Less common, symptoms of a serious allergic reaction, including: rash, itching/swelling (especially of the face/tongue/throat), severe dizziness or trouble breathing may occur. Overall, fish oil supplementation is well tolerated. There are several commercially available children’s formulations which provide an adequate dosage in a palatable form. The studies evaluating essential fatty acid supplementation for ADHD may serve as a dosing guideline. The three most compelling studies used 500-600mg of Omega-3 fatty acids in a balanced Omega 3, 6, 9 formulation. To keep things simple for my families, I recommend a fish oil-based, balanced product containing Omega 3, 6 and 9 fatty acids with 500-750mg of Omega 3 fatty acids from a high quality manufacturer. Products from Nordic Naturals and other high quality manufacturers are available at local markets (such as Mother’s and some Henry’s markets) and online. If children are not able to swallow the generally large capsules, palatable (“no fishy taste”) children’s formulation liquids and “gummies” are available. As evidence in scientific studies continues to build, essential fatty acid supplementation is gaining broader acceptance by mainstream physicians. The current medical literature is generally supportive of the benefit for children with ADHD and the common side effects are relatively mild. For families with children affected by ADHD, essential fatty acid supplementation should be considered an important component of a comprehensive treatment plan. 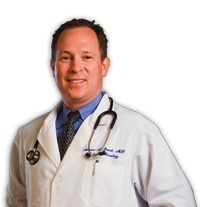 Dr. Andrew McIntosh is a fellowship-trained pediatric neurologist and is highly skilled in behavioral/developmental disorders (including early autism spectrum diagnosis) and general pediatric neurology. If you have any questions or would like information about scheduling an appointment with Dr. McIntosh, contact his office at (949) 249-3780 or visitwww.mcintoshneurology.com for more information.